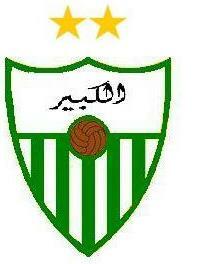 Al-Kabier is a Dutch football club currently playing in the V.217, the 5th Dutch Level. Al-Kabier was found on the 4th of September 2006 by As-Saboer. Al-Kabier is known as an young and ambitious team. The Arena was originaly built in 2006 with a capacity of 12.000. 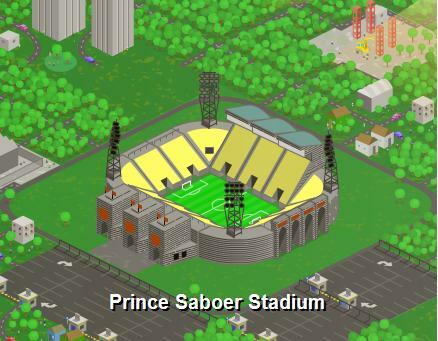 The name of the stadium "Prince Saboer Stadium" is based on the owner of the club, Prince Mohamed As-Saboer. This very rich prince of Saudi Arabia bought the club Al-Kabier in 2006 and built for it a stadium wearing his name. In the begin of 2007 the stadium was to small for the ambitions of Al-Kabier and the Prince decided that he must expand the stadium if he wants to fullfill the club in his ambitions. In two fases the stadium was in the year 2007 and the 21th season expanded to 15.015 places. An increasing of 25%! Now the club have a North-Side and an East-Side. The most fanatic supporters of Al-Kabier are sitting on the North-Side. The nickname of the Al-Kabier fanatics is Saudigan. The most exclusive places, also known as VIP boxes are placed on the East-Side. In one of those boxes the famous and rich chairman Prince Mohamed As-Saboer is seated during the matches of Al-Kabier. Currently does the Prince Saboer Stadium has a capacity to maintain 37.299 spectators. This page was last edited on 24 May 2010, at 20:16.